After visiting so many attractions for your China tours, you may find some mural depicting beautiful women in ancient China. The following give some descriptions about it. Every morning Empress Dowager Cixi applied face powder made up of pearls and skin cream made of flower distillate. At night, she applied egg white, kept it on until half an hour before sleep, and then applied flower extract, finally patting her wet face dry with soft towels. Furthermore, she used a jade face roller, cool and smooth, on her face again and again every morning before dressing. High-quality jade is believed by many to have natural health-enhancing functions and repeated rolling is in essence a good massage for the face. These beauty techniques are used today at modern spas around the world. But let us look back at more examples of classical Chinese beauty treatments. Yang Yuhuan, the most famous concubine in Chinese history, was also renowned for her delicate skin. She used litchi, rich in protein, vitamin B and C, phosphorus and iron, which all bubbled away in her regular hot spring bath. The bath not only moistened her smooth skin, but also refreshed her mind. She would pat and massage different parts of her face and body to further stimulate the absorption of those beauty enhancers. These techniques are beauty clues and are widely used today. SPA is the acronym for the Greek phrase Solus Par Aqua meaning 'water of health'. The word 'spa' may call to mind images of rose petal baths and Thai massages, but in reality a trip to a spa is much more comprehensive, including beautiful background music, aromatherapy, healthy foods and peace of mind. There are many different kinds of spas - city spas, day spas and mineral spas, to name just a few. Some also offer one-day treatments and facial massages. Pulse light-wave therapy is one of the most effective skincare techniques - it safely and effectively reduces a variety of skin conditions, like sunspots, age spots and broken capillaries. This non-invasive treatment stimulates collagen and elastin, improving the skin's texture and tone while reducing wrinkles, small veins, puffiness and acne. The therapeutic benefit of increased circulation helps flush out toxins from skin cells and the lymphatic system. Includes a light facial, and finishes with a moisturizer. This goes way beyond the simple pleasures of relaxation. All the therapists are very professional and careful about ensuring your comfort and modesty. A 30-minute treatment concentrates specifically on the most common areas of stress, like the neck, shoulders, and back. Smooth, heated black basalt stones are integrated into a therapeutic massage resulting in a deeply relaxing treatment. The placement of the stones on sore spots helps penetrate deeper to melt away tension and ease pain in fatigued muscles. The ultimate head-to-toe skin exfoliation treatment! This body scrub, consisting of sea salt and natural & essential oils, helps to increase circulation, stimulate the lymphatic system and eliminate toxins. It enhances skin conditions and unsightly bumps, usually on the sides of arms. Your skin will never have felt so good! Beauty is really more than skin deep - true beauty has more to do with an inner light that shines. Try a day spa - some professional Yoga clubs offer meditation techniques, hypnotherapy and guided visualization to help relieve stress, create deep relaxation and focus your mind toward attracting wealth, love, creativity, motivation, and inner peace. After reading this article and learn something about Chinese ways of facial treatment during your tailor-made China tours, you can learn some of it if you are a female. Tea is the best thing to buy for your China travel. Chinese tea has made great contribution to the people’s health around the world. It is said that the ancestor of the tea is Shennong, the inventor of the agriculture and medicine. 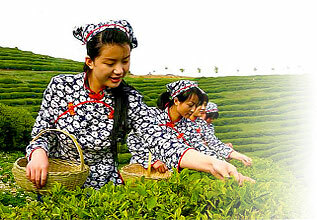 The Chinese tea has spread the world to improve people’s health, happiness as well as the physical and mental harmony. This adds the infinite charm for the concept of health and tea culture. China, the hometown of tea, was the first place to discover tea trees and the first place to utilize and cultivate tea trees in the world. The origin of the tea trees had no less than 60,000 or 70,000 years’ history. At first the tea was used as the offerings in the West Zhou and the used as vegetables in the Spring and Autumn period, in the Warring period it was used as medicine, the custom of drinking tea mainly began in the Han Dynasty, and became popular in Tang Dynasty. As one kind of beverage, tea spread to the minority areas of northwest China, and turned into a necessity of life. One saying can best describe the importance of the tea: The life will stagnate without the tea for one day, and people will be sick without the tea for three days. Chinese tea has undergone a long history from its invention to its use. The reason it is so welcomed by people is not only it can be a beverage for people to drink, but also it can play an important role in health protection and treatment. China is the provenance of the tea, and China’s contribution mainly lies in the discovery of the tea and form a unique tea culture for the east and even the world. Tea can build up your body and has the drug efficacy, also it can cultivate the mind. Testing tea and entertaining guests are the elegant entertainment and social activities of the Chinese people, sitting in the teahouse and take part in the tea party is the activities of Chinese social groups. The Chinese Sado is prestigious in the world, and it introduced to Japan in the Tang Dynasty, later on it had developed into Japanese Sado. If you use the same leaves with the different quality of water or different tea set, the taste of tea will be different. In order to make good tea, you should know the characteristics of different types of leaves and master the technology of brewing tea. Tea is also the best choice for businessman who have China business travel and give its cooperators as gift. Silk, as a symbol of ancient Chinese culture, has not only weaved an excellent picture in the nation's civilization history, but also has made indelible contributions for the advancement of human beings. For thousands of years, Chinese silk has been known for its superior quality, exquisite patterns, and rich cultural connotations. Several thousand years ago, when the silk trade first reached Europe via the Silk Road, it brought with it not only gorgeous silk apparel and decorative items, but also the ancient and resplendent culture of the Far East. From then on, silk was regarded as the emissary and symbol of Eastern civilization. The earliest silk article discovered to date is approximately 4700 years old, unearthed from a tomb dating from China's Liangzhu Culture (c. 3300-2200 BC). The history of Silk Road interest many scholars and tourists so Silk Road tours are formed. According to an ancient Chinese legend, the Silkworm Goddess appeared to the Yellow Emperor, the legendary ancestor of the Chinese people, after he had vanquished his adversary Chi You. She presented him with silk fibers spun from her own mouth as a sign of respect. The Yellow Emperor ordered the fibers woven into cloth and made into silk apparel, which he found exceedingly soft and comfortable. Lei Zu, the Yellow Emperor's wife, searched until she found some caterpillars capable of spinning silk fibers from their mouth. She raised these silkworms by feeding them mulberry leaves she picked herself. Later generations came to worship Lei Zu as the Silkworm Goddess, and the Yellow Emperor as the God of Weaving. Sericulture, including cultivating the mulberry plant, raising silkworms, and producing silk fabric, has been an essential form of labor in China throughout the millennia, as China is the birthplace of sericulture. Raising silkworms and reeling the silk from their cocoons was ancient China's greatest achievement in the use of natural fibers. 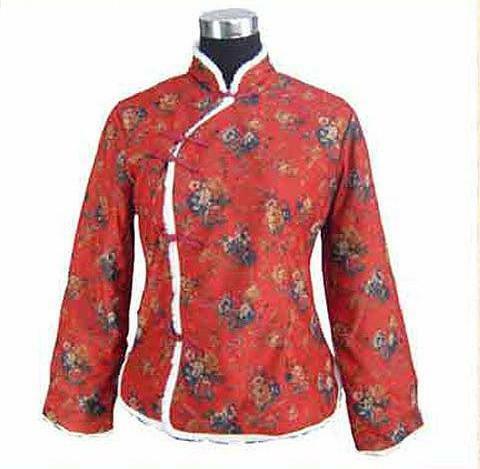 As long ago as the Neolithic Age (c. 12,000-2000 BC), the Chinese ancestors had invented flat-weaving and figured-weaving techniques, and were tinting cloth using natural (red pigment) vermilion dye. With improvements in looming devices and printing and dyeing methods, more varieties of silk were developed and a comprehensive system of cloth dying evolved. China possessed the most advanced silk dying and weaving techniques of the ancient world. The Four Famous Embroideries of China refer to the Xiang embroidery in central China's Hunan Province, Shu embroidery in western China's Sichuan Province, Yue embroidery in southern China's Guangdong Province and Su embroidery in eastern China's Jiangsu Province which is one of most-visited destination contained in China travel deals.